The Volt E-Vapor electronic hookah Bowl is taking the Hookah world to a whole new level. This Electronic Hookah Bowl works just like a traditional bowl and fits on the top of most Hookahs. Instead of using tobacco and charcoal, the Volt Electronic Hookah Bowl sits on top of a traditional hookah and vaporizes the e-juice and e-liquid products, producing thick white clouds just like smoking a regular Hookah. The Volt E-Bowl can be used with Fantasia E-Liquid, Starbuzz E-Juice, and other E-Liquid brands on the market. 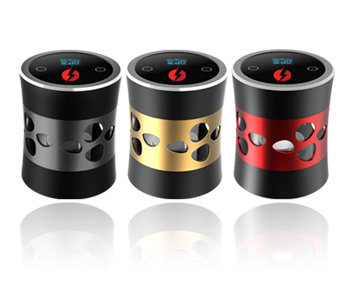 This Electronic Hookah Bowl is shaped like a traditional Hookah Bowl and produces a flavored smoke-like vapor similar to using a traditional Hookah but without the fire, ash, odor, or chemical substances. The Volt Electronic Vapor Hookah Bowl is refillable, reusable, and rechargeable and can be used with any E-Liquid Hookah products on the market.